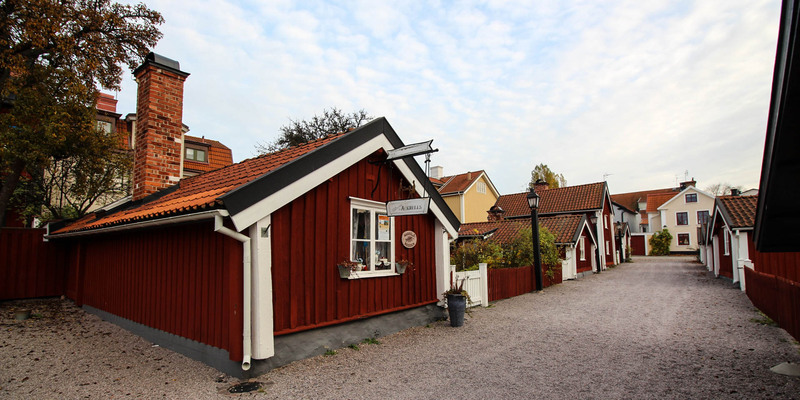 The Båtsmansstugorna are a collection of historic 18th-century boatsmen houses that were declared a cultural monument in 1974, forming a picturesque piece of cultural history in the city center of Västervik. 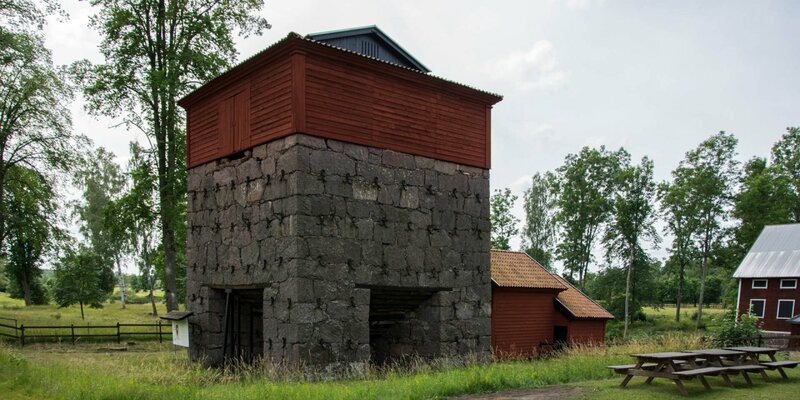 The small one storey Båtsmansstugorna, in the typical white-edged Falunröd, stand to the left and right of an alley with a gravel road. With its tiny gardens, flowers and low trees, the overall appearance of the small street creates a soothing and romantic atmosphere. 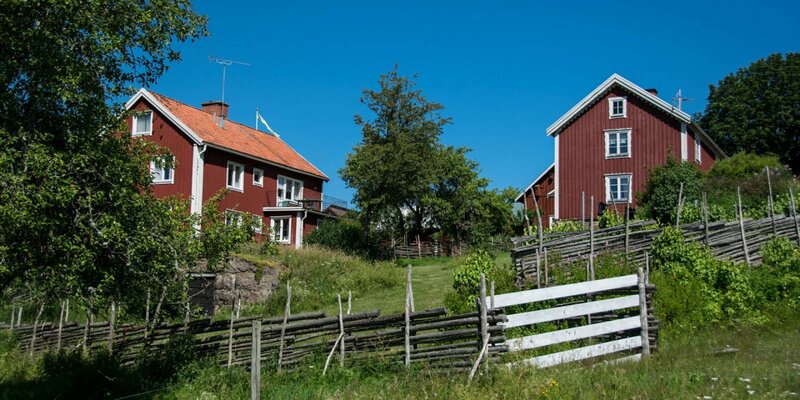 The oldest eight of the small houses were built as early as 1740 as accommodation for boatmen of the Swedish Navy, with which the city of Västervik fulfilled its obligation to provide housing for soldiers. 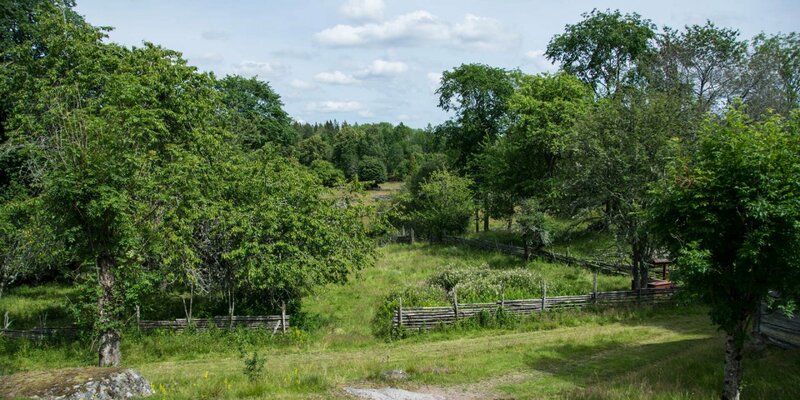 A commitment that used to apply to all towns and villages in Sweden. According to their size, they had to provide for the accommodation and in some cases the livelihood of their assigned soldiers. In one of the old houses is a popular café that offers hot and cold dishes in addition to coffee, cake and ice cream. Even a night in a historic setting is possible, because a total of seven of the old houses are set up as a Vandrahem.